Despite frequent rain since the New Year, the water levels in two Monterey County lakes aren't rebounding at the same rate as drought-stricken lakes in other parts of California, reported Ramin Skibba in the Monterey Herald. In December, Lake Nacimiento was at 16 to 17 percent of capacity.  It has now risen to 22 percent. Lake San Antonio, which dropped to 3 percent of capacity last summer, is still at 3 percent now. It is so low that engineers refer to it as a "dead pool" because gravity cannot pull water out of the reservoir when it is at that level. The Monterey County lakes don't fill as quickly as other lakes - such as Shasta, Folsom and Oroville - because they are fed by relatively small watersheds. Nacimiento and San Antonio were built in the 1950s and '60s for flood control and to recharge aquifers. With dropping aquifer water levels, farmers have had problems with their wells, the story said. As they drill deeper, farmers also risk more seawater flooding in, contaminating the limited water supply. It was seawater intrusion that originally led to the construction of the Nacimiento and San Antonio dams. Cahn was quoted at the end of the story with a positive message. “The aquifers are currently at the lowest levels ever recorded, but they can go back up,” he said. 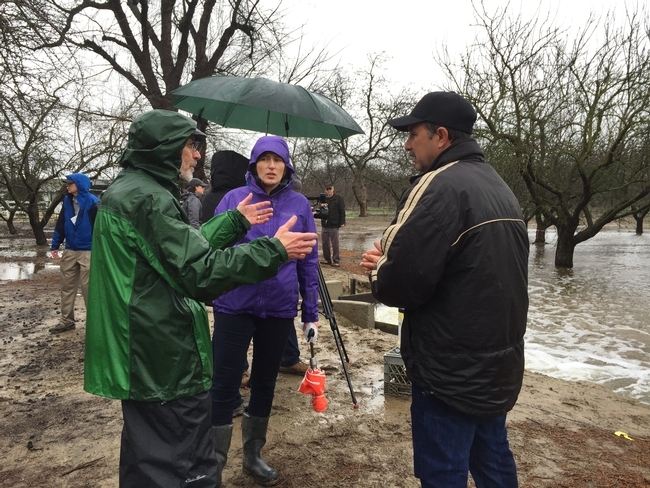 From left, UC Davis plant sciences professor Ken Shackel speaks with research project partners UC Davis professor Helen Dahlke (in the purple jacket) and Roger Duncan, UC ANR Cooperative Extension advisor, at the flooding site. 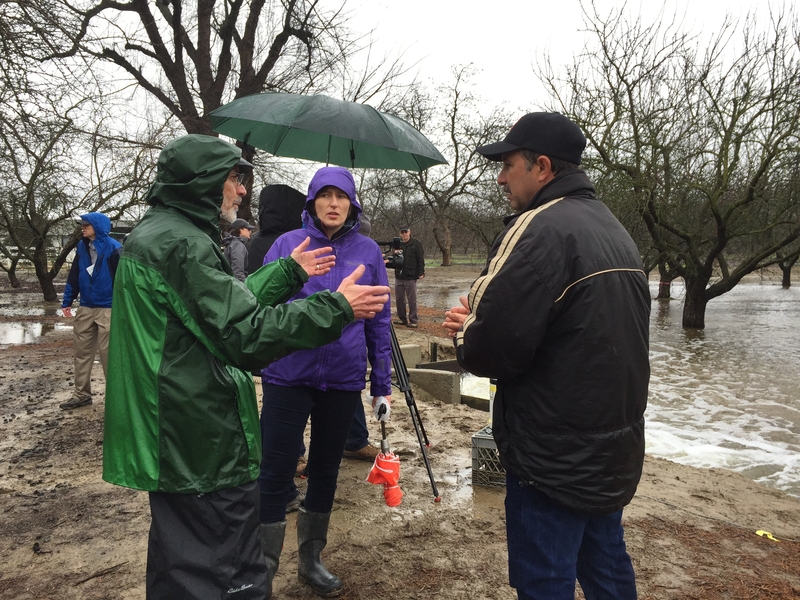 A drought recovery demonstration Jan. 19 at an almond orchard in Modesto generated significant news coverage. UC Agriculture and Natural Resources (ANR) researchers based at UC Davis and UC Cooperative Extension advisors are collaborating on a study aimed at recharging the aquifer by flooding farm fields during the winter. In many areas if the state, the aquifer has been depleted by farmers trying to cope with years of drought. UC ANR Cooperative Extension specialist Toby O'Geen was the lead author of research published in California Agriculture journal that identified agricultural lands in California suitable for flooding in order to bank groundwater. He has created an app that allows landowners across the state to assess the suitability of their property for groundwater banking. 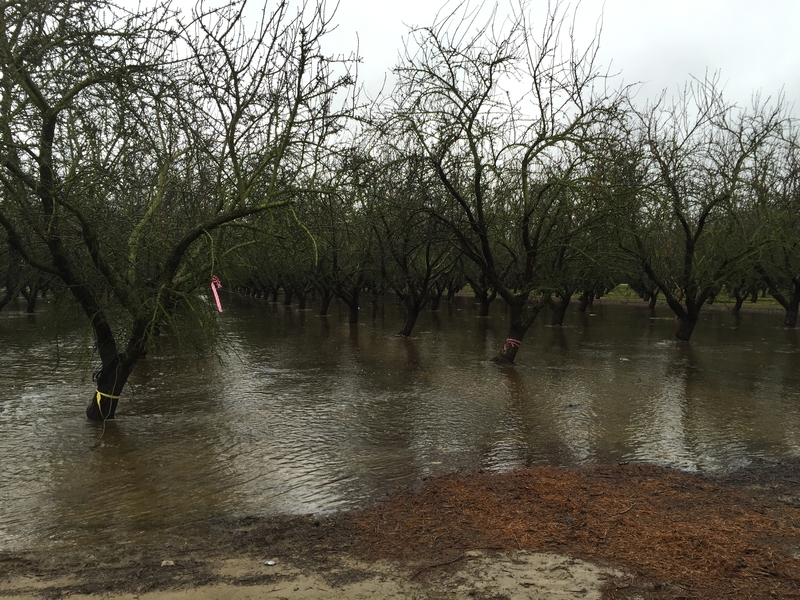 The Modesto project will determine what impact winter flooding will have on the health of almond trees and almond yield. UC ANR Cooperative Extension advisor Roger Duncan was quoted in the Los Angeles Times about the potential advantages and disadvantages of flooding crops in the winter. He said water could spur more fungal diseases, but could also drown out worms and mites that damage crops. The Almond Board of California is funding the project, anticipating that certain almond orchards will be good candidates for groundwater recharge. "Almond orchards have good soil characteristics, and water delivery systems are already in place,” said Bob Curtis, director of agriculture affairs for the almond board. 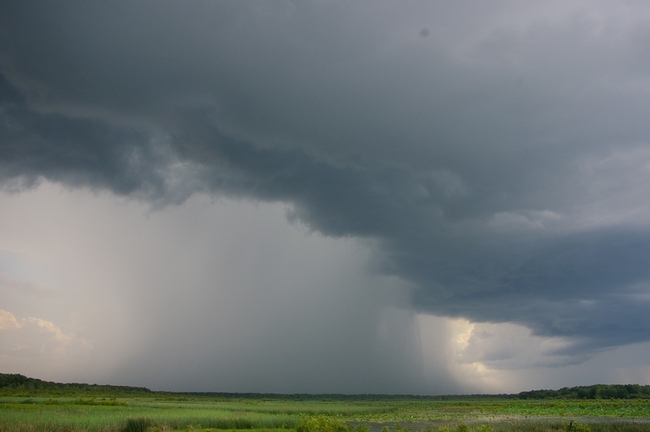 “Winter flooding should actually benefit the trees while replenishing groundwater to benefit us all." 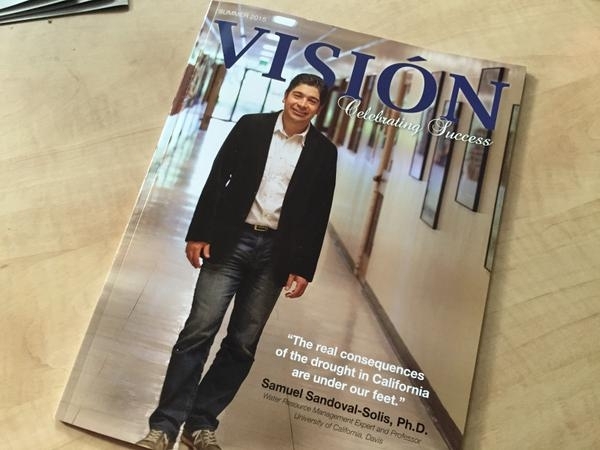 UC ANR's Samuel Sandoval Solis is featured on the cover of Vision Magazine. The cover story in the most recent issue of Visión Magazine details the passion and expertise of UC Agriculture and Natural Resources' water resources scientist Samuel Sandoval Solis, a UC ANR Cooperative Extension specialist based at UC Davis. Solis was born in Mexico City and began contributing to the family income at the age of 13 as a grocery store bagger. He earned a bachelor's degree in civil engineering at Instituto Politecnico Nacional. When Solis was hired to help a community of 300 manage its water resources, he was nervous about his abilities, the article said. "However, like many hardworking Latinos, Samuel put his fear and doubts to the side, and decided to pursue this great opportunity," wrote reporter Vanessa Parra. "I was under friendly fire from people of both nations," Solis said. "Because I was doing my research in the Rio Grande/Bravo while living in Texas, people from the U.S. thought I was a spy and people from Mexico thought that I was a traitor," he said. The language and culture barriers that Solis once perceived as negative characteristics became valuable assets when he joined the University of California. He is able to communicate with Spanish-speaking farmers on a personal level. Solis began his work in California just as it was caught in the grip of the current four-year drought. The dry period, he said, can be viewed as a "tipping point" to change the way the state uses and manages its water. 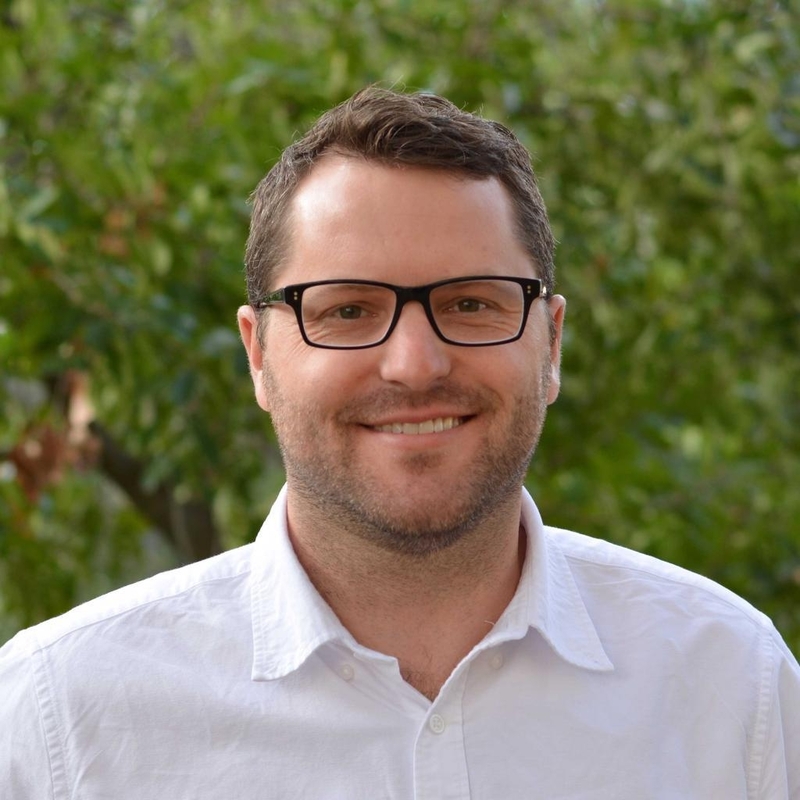 His research focuses on water planning and management. "We develop methods for finding strategies to better distribute water, ensuring adequate quality and the right timing," Solis said. 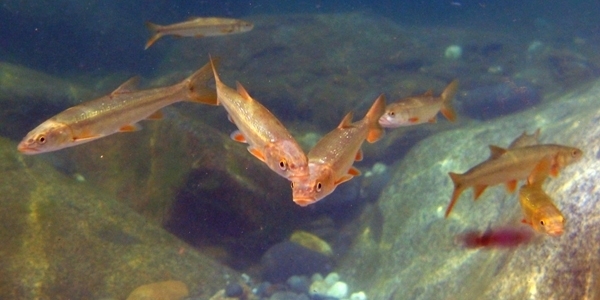 "We consider the scientific, social, environmental, and economic aspects of basins. 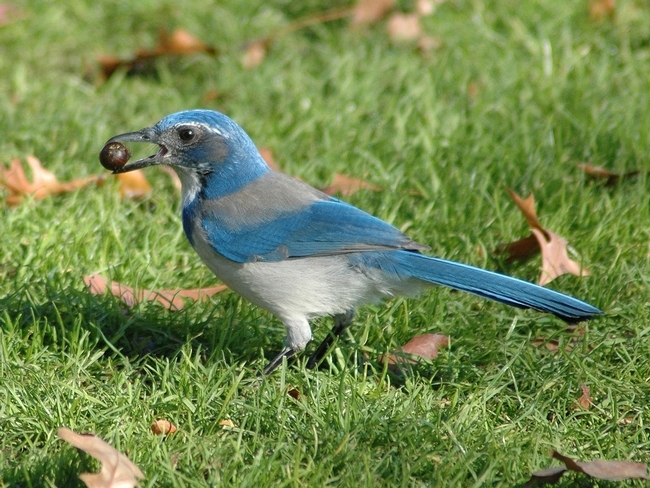 Our goal is to improve California's water management through cooperation, shared vision and science-based solutions."